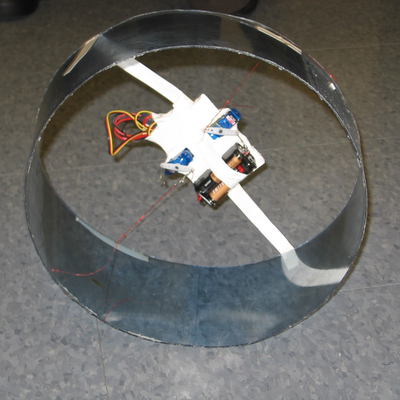 While working in the Olin Robotics Lab, Jeff DeCew and I decided to make a flexible wheel robot that would deform its shape in order to roll. After we successfully created a 10-minute feasibility prototype, I began work on a simulation. I modeled the flexible plastic rim with masses and hinge springs, comparing my model's deformation to compression data we took with an Instron machine. From there I created a control system that changed the shape of the wheel based on which section was touching the ground. I tried this on 3 different robot designs. The code was written in Python using the VPython 3D library. The physics simulation was developed by me.